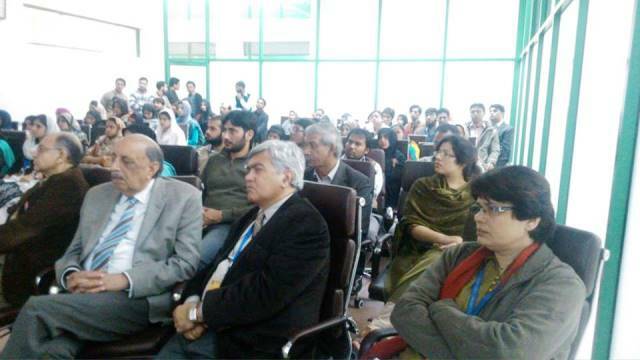 On 12 December 2014, the Speers Chemical Society ( SCS) arranged a lecture on Natural Medicines: Myth or Science, by Mr Nadeem Khalid, CEO, Herbion, Pakistan. Mr Nadeem Khalid, started his lecture with a video showing the procedure of manufacturing herbal medicines, from extraction to final product following sampling and testing. He moved on to a brief introduction to natural medicines and their importance. He discuss in detail the historical background of natural medicines as well as statistical analyses, the ratio and percentage of the use of herbal medicines and their impact around the globe. He also talked about the advantages of herbal medicines. 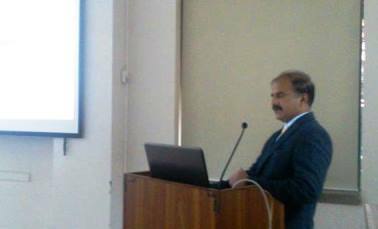 Mr Khalid also shed light on his research in this regard. The talk ended with a question and answer session. Dr Dildar Ahmed, Chairperson, Department of Chemistry at FCC thanked the speaker and appreciated the effort of Touqeer Gill, President SCS, for arranging the lecture.